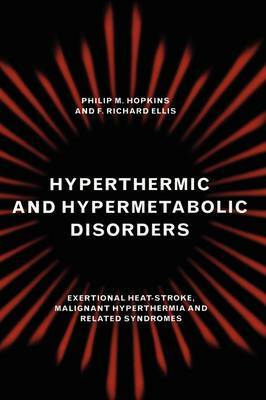 This authoritative and comprehensive 1996 publication looks in depth at a range of medical syndromes characterised by serious and unpredicted internal overheating of the body. These episodes may arise suddenly and unexpectedly in certain individuals, with life-threatening consequences, either as a result of heat stress, exceptional physical exertion or in response to certain common anaesthetics and some drugs, including ecstasy. The chapters focus on the full range of these syndromes, their metabolic and physiological basis, the important pre-disposing factors for the prediction of those at risk, and the medical management of these conditions. The volume includes important contributions from authors of international repute and incorporates a wealth of information from the Leeds malignant hyperthermia investigation unit. This compilation will be of interest to those wanting to understand these disorders.